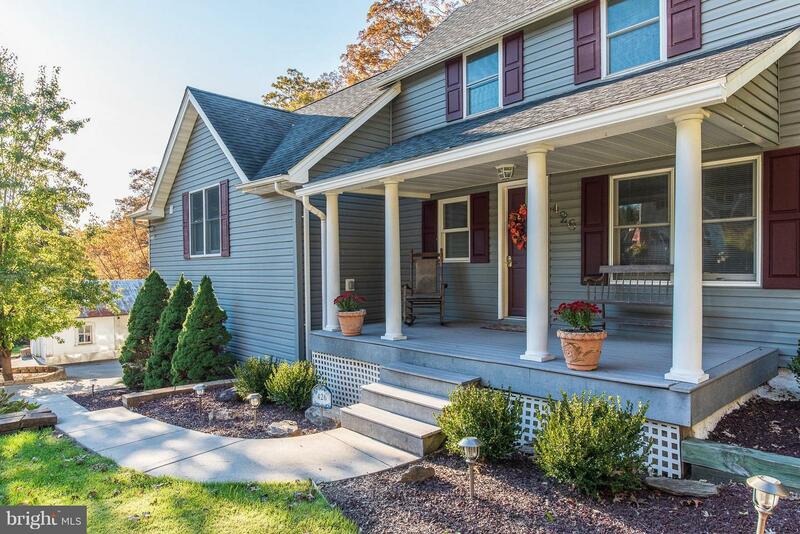 If you've been looking for that perfect front porch home in the country this is it! Bentley Springs stream runs through the back yard of this idyllic Blue Ribbon Hereford Schools home with multiple decks for enjoying the scenery, entertaining, and relaxing listening to the bubbling stream. This 3 beds/3 full baths home built in 1890 was completely updated inside and out just 8 years ago. It boasts a huge eat-in kitchen with cherry cabinets, silestone counters, stainless appliances, island and gas cooktop. The master suite with its own staircase offers seclusion from the rest of the home with a soaking tub, walk-in shower, double vanity, and walk-in closet. A large family room with wood burning stove and rustic beams add to the charm of this home. There is a 2 car attached garage and detached 1 car garage that was actually the mechanics shop at the New Freedom train station and moved to the property years ago. Various other outbuildings include an old chicken coop, shed, spring house and root cellar, perfect for additional storage and hobbies. The septic is brand new state of the art BAT system. The basement is partially finished and offers additional living space and storage. This home is a short walk to the NCR trail and is truly a nature lovers paradise. All information deemed reliable but not guaranteed and should be independently verified. All properties are subject to prior sale, change or withdrawal. Neither listing broker(s) nor Conway Real Estate shall be responsible for any typographical errors, misinformation, misprints and shall be held totally harmless.